Marnie is just 35 when her boyfriend, Brian, drops dead of a sudden heart attack. Stunned by his death, Marnie finds her greatest grief is for Troy, Brian’s son whom she has raised as her own since he was a kindergartener. When he is reclaimed by his train wreck of a birth mother, Troy’s departure drives Marnie to a grief group at the local rec center. 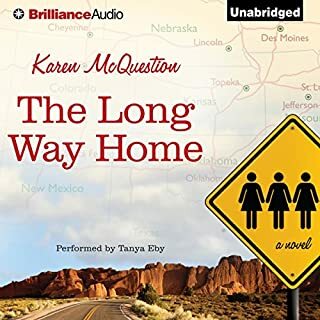 There she finds unexpected allies, three strangers who join her in an impulsive road trip from Wisconsin to Las Vegas to reconnect with Troy. The night Russ Becker witnesses a strange astronomical event, his world changes forever. Before long Russ discovers he's developed incredible superpowers, and he's not the only one. 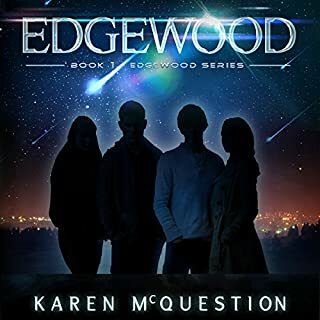 Three other young people - beautiful Mallory, arrogant Jameson, and mysterious Nadia - have had the same experience and all of them now have powers of their own. Mallory can control peoples' minds, Jameson moves objects with his thoughts, and Nadia has empathic abilities. Yes, I'm buying the next book in the series! Big business is booming and state institutions are thriving thanks to advances in genetic engineering, which have produced a compliant population free from addictions. Violent crime is now a rarity. Mayhew McCline, a major corporation that analyzes global trends, has hired a genius: Jayna. A brilliant mathematical modeler, she has the ability to produce accurate predictions that are both good for the world and good for the bottom line. Her latest coup: finding a link between northeasterly winds and violent crime. 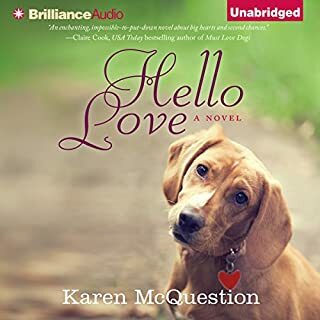 In A Scattered Life, Karen McQuestion proves to be an adept chronicler of unforgettable female characters. 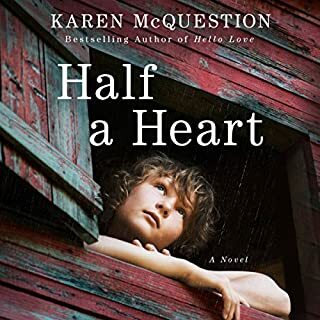 Poignantly written, she thoughtfully examines how women love, learn, and come to accept themselves and others, as well as life’s often harsh realities of deception and loss. Skyla Plinka has all she could ask for - at least that’s what her mother-in-law Audrey thinks. On most days, Skyla agrees, yet there’s a part of her that longs for her free-spirited days before husband, child, and the humdrum life of rural Wisconsin. Fifteen-year-old Rae Maddox’s mom, Gina, is a big fan of fresh starts. Gina thinks of them as an adventure, but for Rae, each move is just one more friend lost, one more chance to feel like an outsider. After arriving in Wisconsin, Gina promises to stay put until Rae graduates. Cautiously optimistic, she wades into the social whirl at Whitman High School, making a few friends and even earning a chance at love. But when the vice principal pairs her with fellow newbie Allison Daly, Rae’s tentative happiness is jeopardized. Seventeen-year-old Emma was the only one who hadn't given up on her boyfriend, Lucas. Everyone else - his family, his friends, his doctors - was convinced that any moment could be his last. So when Lucas miraculously returns from the brink of death, Emma thinks her prayers have been answered. As the surprised town rejoices, Emma begins to question whether Lucas is the same boy she's always known. 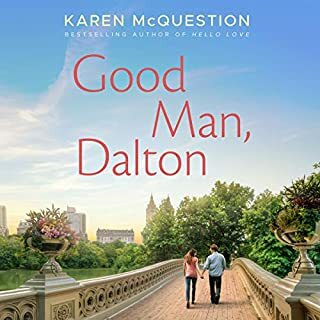 When she finds an unidentifiable object on his family's farm - and government agents come to claim it - she begins to suspect that nothing is what it seems. 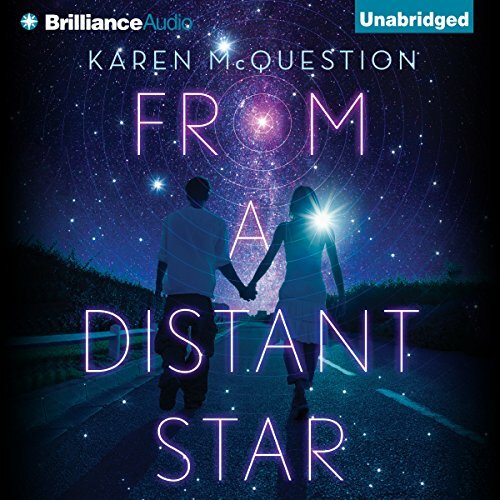 Emma's out-of-this-world discovery may be the key to setting things right, but only if she and Lucas can evade the agents who are after what they have. With all her hopes and dreams on the line, Emma sets out to save the boy she loves. And with a little help from a distant star, she might just have a chance at making those dreams come true. ©2015 Karen McQuestion (P)2015 Brilliance Audio, all rights reserved. I listened through over 5 hours of this book, but eventually I just had to stop. It wasn't just that the female protagonist was vapid, self-centered and convinced of her own superiority; though it made it hard to care what happened to her, I realized that it was actually pretty true to character for many teenagers. I don't know how old the author is, but I got the sense that this was written by someone with not a lot of life experience. The point where I gave up was when our characters, on the run from shady agents, stumble into a bar and enlist help from a sweet, insanely trusting, elderly countrified couple. On the strength of an improbable story from these two teens, the couple spring into action, handing over the keys to a brand-new cargo van with interchangeable license plates, company logos, brochures and business cards, and fake id badges, because sometimes you need "to throw off the feds, of course!" I listened for a few more minutes to see if this deus ex machina was going to be explained, but "grandma" just went back to being sugary-sweet and dispensing classic old-people wisdom. I was done. Interesting story and writing. The narration was god awfull. This Kate rudd person needs to find a new job. this is geared towards eight to twelve year olds. I think that this story would need very entertaining to a very young audience that has little understanding of science or politics. this was not for me however. I haven't read this author before. the story has a strong, easy feel with terrific pacing. high emotion, not gritty thankfully. fun read. What a good read enjoyed very much, did not want to put it down. I will read more of authors work. Great imaginative book. 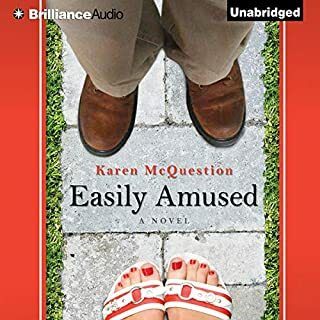 I've read all of Karen Mcquestion's books, but to me this is one of her best. It is a heartwarming tale of love and loss, cancer and an extra terrestrial. Though I'm not usually into Sci-Cu, this was very relatable. I thought there were a few times when the book seemed a bit repetitive, but I really enjoyed the listen. Recommend! A meaningful connection with outer space. Great alien romance, surprisingly tender, funny and adventurous all rolled together. Kate Rudd is amazing as "the girl in love". Great story line. Nice build up to a dramatic finishing! Kate did a fantastic job voicing Emma's emotions and personality quirks. I enjoyed Scout's halting lilt, You could feel his struggles to fit in. Wouldn't mind a part two. Not a sifi fan, still wasn't bad. I'm Not a sifi fan, still wasn't bad. like the author and and the performer.